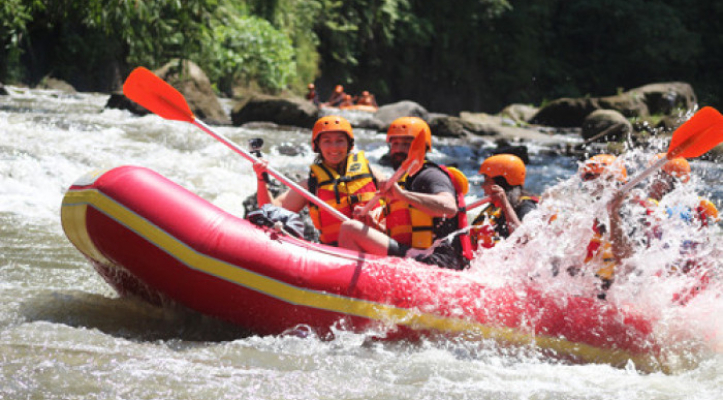 An impressive experience trace the Ayung River Rafting will be started from your pick up schedule at the hotel resident and drop to start point to get the short training from well trained and experience guide. 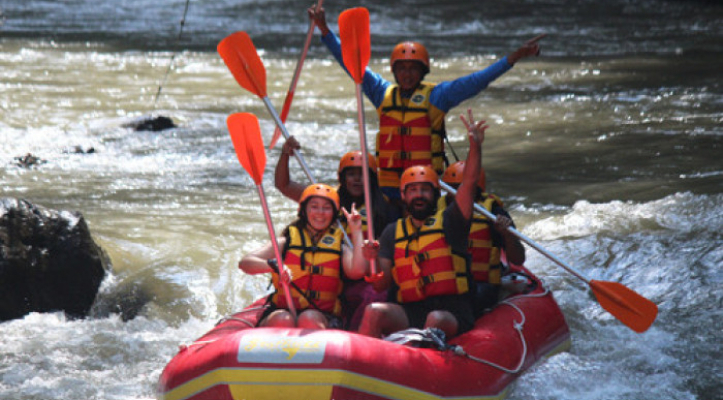 Movement raw the safe and high quality rubber boat and also led by professional guide which have experienced to pass the attractive and challenge rapids with full of fun. Your journey above water river with rappids class I – III grade, take a bath in natural waterfall and also view Bali nature which still be wild represent the amazing experience which is not fallen into oblivion. Your Ayung river rafting adventure in the water will end at the finish point and enjoy the buffet lunch at the same time enjoy the nature of Ubud Bali. Taking shower and change clothes will be reserved to refresh your body. The comfortable transportation which have been provided will bring the you return to hotel with fully memory.